British-born sculptor Jason deCaires Taylor creates cities and societies under the sea. His art is compelling, though you may need a scuba outfit to see all of it. In the words of the artist: "The Archive of Lost Dreams depicts an underwater archive, maintained by a male registrar. The archive is a collection of hundreds of messages in bottles brought together by the natural forces of the ocean. The registrar is collating the individual bottles and categorising the contents according to the nature of each message - fear, hope, loss, or belonging. "Various communities from a broad spectrum of ethnic, religious and cultural backgrounds have been invited to provide the messages, which, it is hoped, will document current values and aspirations for future generations to discover." On my last night at l'Hameau de l'Etoile, the refurbished 17th century village in the south of France where I have been leading new adventures in Active Dreaming, I dreamed I was leading the group on a spiral dance through stables where powerful horses stamped and snorted their approval. As we danced, I improvised the words of a song with alternating verses in French and English. As I woke, the title of this dream was with me: "Le chanson des écuries du rêve" - "The Song of the Dream Stables." I sat down with a cup of coffee to write with the energy of this dream. What came streaming through me was not exactly the Song of the Dream Stables but rather a poem in the rhythms of Charles d'Orléans, the poet-prince of medieval France who has featured in my dreams for many years. It was a sequence of dreams, visions and synchronicity - extraordinary even by my standards - that brought me to France in 2005 to lead a previous workshop at a chateau near Blois, the city Charles most loved, and where his body lies under the protection of the most fearsome gargoyles I have ever seen. The repeating line in my poem is borrowed from one of Charle's lyrical poems. Le temps a laissé son manteau. The dream has dropped its mantle. Oh, yes. "Eating the bull" is no bull. Taureau is a preferred dish of the guardian, the cowboy of the Camargue, and I ate steak de taureau au fleur de sel in a restaurant named the House of the Moon Bull (Casa Toro Luna) on the square in the medieval town of Aigues Mortes. Graphic: Illumination from an early collection of poems of Charles d'Orléans, depicting his time as a hostage in the Tower of London. Shamans understand that soul loss is the root of much illness and confusion in our lives. It may be caused by pain or trauma or heartbreak, by wrenching life choices, or by wimping out on our best and bravest dreams. It can reduce us to the condition of the walking dead, passionless and dreary, forever trying to fit in with other people's needs and expectations, lost to our own deeper purpose. Soul retrieval is a shamanic operation in which the practitioner journeys to bring back lost soul-parts and puts them into the client's body (typically by blowing into one or more of the energy centers, most often the heart or the crown of the head). Soul recovery is a practice in which we help each other to become self-healers and function as our own shamanic practitioners - to gather and integrate our own families of selves and bring wholeness and vital energy into our lives. Dream reentry frequently opens the road to soul recovery, because our dreams show us where our missing parts may have gone, and invite us to reach in and bring them back. When we dream again and again of the "old place" (maybe a childhood home, maybe a space we shared with a former partner) we may be learning that a part of ourselves - a part scared away by trauma, or a part that resisted a choice we made - is "stuck" in that place, or went missing at the time we lived there. By going back inside the dream of the "old place" in a lucid shamanic journey, we may be able to locate that lost aspect of our own identity and energy and find the way to bring it back into our hearts and our lives. Typically, soul recovery of this kind will require reassurance and negotiation. Our younger self may need to be reassured that she is not going to be hurt in the way she was hurt before. She may need to be convinced that we will include things in our lives that she will enjoy and will engage her passions. In the practice of soul recovery, we support each other without necessarily playing shamanic practitioner for each other – since the heart of this practice is to assist everyone who is able to become a self-healer. The core technique is dream reentry and tracking. This is a method of interactive shamanic lucid dreaming explained in depth in my books, especially Dreamgates, Dreamways of the Iroquois and Conscious Dreaming. As applied for soul recovery, we place the focus on locating and reclaiming lost aspects of soul energy that may have surfaced in a dream or a life memory. The tracker may be required to play an activist role - for example, by helping the dreamer to move beyond a fear, by running interference if there are negative entities in the field, by bringing in the tracker's own animal guardians, or by negotiating directly with some of the dreamer's younger or "other" selves. Before undertaking the soul recovery journey, dreamer and tracker should try to reach a clear agreement on how far the tracker should go (or not go) in assisting the healing. What do we do for a person who has suffered soul loss and does not have a dream? This is of course a common condition. The Iroquois say that if we have lost our dreams, we have lost our souls - at least, the part of our soul-self that is the dreamer and remembers the deeper life. 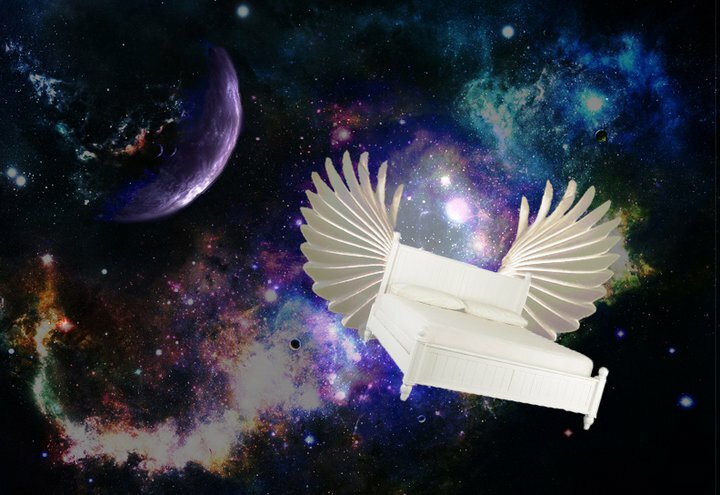 Several Active Dreaming techniques can help the dream-deprived to open a gateway to soul recovery – and reclaim part of themselves that is the beautiful dreamer. We can help them to revisit a life memory in the same way that they might reenter a dream. And we can perform dream transfer in the service of soul recovery for someone who has lost their dreams. We journey for them and grow a dream for them that they can be helped to enter and can provide an authentic portal for self-healing. Active dreamers know we can bring a dream to someone in need of a dream. Calling all dreamers: My next "Way of the Dreamer" radio show on http://www.healthylife.net/ will be LIVE with call-ins next TUESDAY, November 9th. Please call in with dreams and questions to share. We'll play the Lightning Dreamwork game and explore the many ways in which we can use the arts of Active Dreaming to live more consciously and creatively. The show airs from 9-10 AM Pacific time, which is 12 noon-1 PM Eastern, on Tuesday, October 12th. The toll-free number for callers is (800) 555-5453. If you can't get through right away, try, try again. If you are calling from outside North America (or need a backup number because the 800 line is busy) alternative numbers are (310) 371-5459 and (310) 371-5444. I like to start the day by opening a book at random and seeing what thought or message this sets before me. The book I use may be one of my own notebooks, or something that has recently landed on my desk through the machinations of the shelf elf, or an old favorite. An edition of Yeats' collected poems is rarely far from me when I am down in my writing Cave. I read Yeats with passion as a young boy - and ever since - and hunted up a scratchy old vinyl recoding of him reading some of his own works. My first copy of his collected poems was my choice as my prize for writing poetry (the Ellis Prize for Verse) at my high school graduation. This morning I have a recent edition of Yeats' poetry, edited by Richard Finneran. It is volume I of what is now the standard edition of The Collected Works of W.B. Yeats, published by Scribner, a mammoth and impressive enterprise in which many of the world's leading Yeats scholars have been engaged over many years. I turned to this for my thought for the day. the moon is wilder every minute. O Solomon! let us try again. I am thrilled by the mystery of these verses. They elude translation; I must allow the images to work inside me. I turn the page and find another poem titled "An Image from a Past Life". He: Why have you laid your hands upon my eyes? She: A sweetheart from another life floats there. Now this gives me a clearer directive for the day's work. I remember now a poem by Tagore that Yeats selected for inclusion in The Oxford Book of Common Verse: "In the dusky path of a dream I went to seek the love who was mine in a former life." Not always a fun path for Yeats, who felt that he found his love of many lives in Maud Gonne, but was unable to be with her for long. Yes, we shall go on seeking, along the dusky path of dreams.